What will bring your nonprofit more success? A) An amazing monthly newsletter that engages your members, donors, volunteers, and board? Highly engaged supporters will spread positive word of mouth about your organization, attracting even more supporters. B) A robust blog that attracts new visitors to your website every month? Many new visitors will turn into supporters of your organization which can help you grow. Answer: The truth is both are great approaches to nonprofit content marketing and I've seen many nonprofits find success with either. Most nonprofits I’ve spoken to have limited time and resources. This means they've only time to focus on either a newsletter or a blog since it takes a lot of dedication to find success with one or the other. Unless you have a fairly large team, focusing on both at the same time can spread yourself thin. So what’s the best approach for your organization if you’re on the fence? 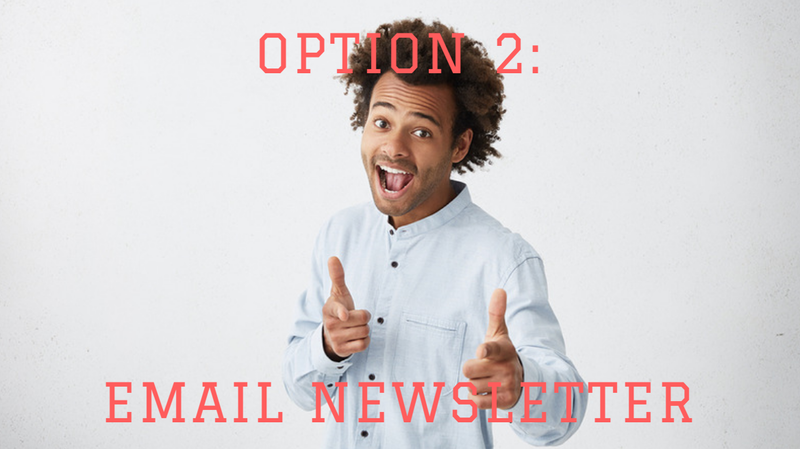 In this article, I’m going to take a look at the pros and cons of newsletters versus blogs to help you figure out the best content marketing strategy for your nonprofit. But first, I'd like to establish one important ground rule for this head-to-head competition. Regardless of which strategy you choose to focus on — newsletter, blog, or both, there’s one activity I’ve seen proven to increase any organization’s chances of success. That activity is to email your subscribers on a regular basis. This can mean emailing them a monthly or bi-weekly newsletter, or emailing them about new blog posts. It teaches your subscribers to expect ongoing updates from you (think of it like a magazine subscription). It generates more views and shares of your content. It creates a regular opportunity to start a conversation with your subscribers (ask them to donate, come to an event, become a member, etc.). You learn over time which topics resonate better with your subscribers, allowing you to focus on those that are more successful (use your email open and click rates as measures of success). It keeps your organization top-of-mind for your audience. All of these things can help your organization grow over time. The only thing to be careful of when regularly emailing your subscribers is this: only send them high quality content. An admin will treat the organization’s newsletter as a chore, writing and sending it just because. It’s no surprise then when people stop reading it. So keep this in mind. As soon as you push a low-quality newsletter or blog post to your email subscribers, it lowers their impression of what to expect from you and eventually people will unsubscribe altogether. You must take care of your subscribers by sending great content and building relationships over time. If you'd like some tips on what makes content great, I've created an easy-to-follow guide in my post, How I Quadrupled My Nonprofit Blog Traffic in Less Than 1 Year. If you abandon your list and don’t communicate with them, you’re going to get a lot of unsubscribes next time you send out a promotional email. So here’s the main rule: Whether you publish (great) content on a newsletter, or via your blog, it is critical that you push your content out to your email subscribers consistently. 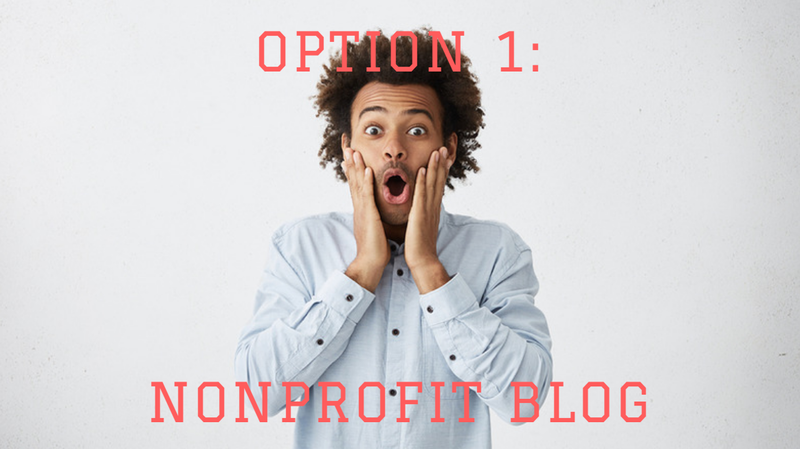 Now that we’ve established the Caretaking Rule, let’s look at the pros and cons of two popular content creation strategies for nonprofits: email newsletters and blog posts. A blog, which is published on your website, can include articles, videos, infographics, or podcast episodes, or other online content. If you choose the blog strategy, I recommend you send an email broadcast to your list any time you publish a new piece of content. A “teaser” note that includes a short description or excerpt of the content, with a link to the entire piece. An email message that includes the entire article. Here’s an example from The Homestead Education Center, a nonprofit geared towards teaching sustainable living practices. In their email (subject line: 3 Ways to Get Healthier for Your Family ), they’ve written out their entire blog post with headlines and images. Throughout the email, they’ve included links to join an upcoming retreat — a subtle way of promoting their event. Benefit #1: Blogging Will Help You Get Found in Search Engines. Publishing original, useful content is one of the best things you can do to increase your search engine rankings. When you publish a blog and update it regularly, other sites will start to link to your content, and search engines will reward you by ranking you higher for your targeted search terms. The higher your rankings, the more often you’ll appear in search results, which means more people will visit your website. Benefit #2: Blog Posts Are Easy to Share via Social Media. Your audience members can share your posts on Facebook, Twitter, Pinterest, and other social sites with just a quick click of a mouse. That means you’ll get more traffic from social sites – especially if your content is high quality, interesting and helpful for people. Benefit #3: With Content Notifications, Your Email Is Focused on One Goal. When you send “blog notification” emails, your goal is to get your subscriber to consume your newest piece of content. You can focus all your energy (and all your links within your email) on achieving that goal. Because of this singular focus, you may get more traffic to your website from this approach. Your readers are also less likely to stash your email in a “Read Later” folder if they know they only need to click one link and consume one piece of content. Disadvantage #1: You Need to Commit to Publishing on Your Blog. Blogging works best when you update your blog on a semi-regular basis. You need to commit to writing content for your blog consistently. That said, the definition of “consistently” varies wildly, and quality is more important than quantity when it comes to blogging. You’ll get better results from publishing one incredible blog post once a month (or every other month), rather than a mediocre post every week. Whatever you decide, pick a publishing schedule that works for you and your team. Disadvantage #2: Your Email Schedule May Be More Erratic. If you don’t publish content on a regular schedule, you’ll end up sending emails to your list on an inconsistent basis, too. Because of that, you might see a higher unsubscribe rate when you do send a content notification email, because your subscribers aren’t used to hearing from you and may forget they signed up for your email list. A traditional newsletter is typically sent on a regular schedule (usually weekly or monthly) and can include a branded HTML header, an opening greeting, and a main article. A newsletter might also include links to your website (or curated content from other sites), badges, featured photos, or special offers. Picture a newsletter as a collection of items, instead of one stand-alone piece of content. Here’s an example of a newsletter from The Planetary Society. Notice all the links in blue. Each link has a different call to action: donate, read a post, member bios, watch a video, etc. Benefit #1: Being Committed to a Consistent Publishing Schedule Can Be Motivating. If you tell your email subscribers your regular newsletter will be published on a particular schedule (for example, every Wednesday), your reader will expect an email on that day. Knowing that your readers are waiting for a note from you can be very motivating, and it can give you an extra kick in the pants to get your newsletter out the door. Benefit #2: You Could See Lower Unsubscribe Rates. If you’ve trained your audience to expect an message from you every Wednesday morning, they will usually recognize your email newsletter when it hits their inboxes. When they expect an email from you, it helps prevent them from thinking, “Why is this person spamming me?” and hitting the unsubscribe or spam complaint buttons. Benefit #3: You Can Include Links to Additional Content Your Audience Will Enjoy. With a newsletter’s flexible content sharing options, you’ll have room for links to blog posts or videos in your own archive, curated links, or other content. Sharing content like this on a regular basis can help you earn a reputation as a generous and thoughtful organization, and it might increase your membership or donation rates. Disadvantage #1: You Can Be Locked into a Consistent Publishing Schedule. Remember when I said having a consistent newsletter scheduling can be motivating? It can also be stressful. Make sure you can commit to your newsletter publishing schedule before you set expectations for your subscribers. Disadvantage #2: Your Readers Might Put off Reading Your Newsletter (or Never Read It at All). How many of you have email newsletters sitting in a “Read Later” folder in your email system? I know I do. Unfortunately, these procrastination folders can be deadly for your email message. If your recipient reads your newsletter at all, it might be months after you send it. Disadvantage #3: Newsletters Can Be a Time-Consuming to Format. If you publish a newsletter, you’ll need to use a qualified email provider to help you manage subscribers and give people an easy way to unsubscribe. Unfortunately, formatting an attractive, mobile-friendly newsletter — especially one that includes a variety of links and images — can be time-consuming. However, there are email service providers that have template options for making your newsletter look professional when it lands in your subscribers’ inboxes. Wild Apricot is one option used by thousands of nonprofits to communicate with their members, donors, and supporters. 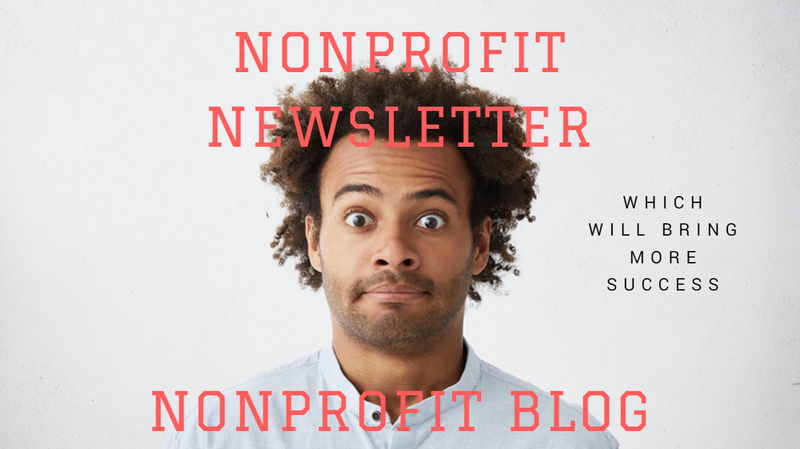 We have a variety of easy-to-use nonprofit newsletter templates. The best part is that our emailing platform is linked with your member database, so everything is in one tool. If you haven’t given us a try already, here’s a free, 30-day trial of Wild Apricot. Now it’s decision time. Which is best for you: A blog, or an email newsletter? The answer is whichever best fits your organization — blogging, a newsletter, or a combination of the two strategies. The point is that when you communicate with your audience on a consistent basis, you’ll find success if you send them great content they can count on. If you’re new to nonprofit newsletters and nonprofit blogging, and don’t have a platform setup to help, give Wild Apricot a try. We are an all-in-one membership management tool used by over 20,000 associations, clubs, and nonprofits around the world. Our software consists of an easy-to-use drag-and-drop website builder, member database, email communications platform, online payments system, and more. Start your free trial of Wild Apricot now and in just an afternoon you can have your nonprofit blog setup, your member database imported, and a fully formatted newsletter branded for your organization. I'd also recommend Option 3: Use your blog to populate your newsletter. That's the approach I've moved to having worked at several smaller nonprofits with limited time (I'm currently the fundraiser and marketer for my org). Instead of the newsletter being one main article and a few other tidbits, we use our recent blog posts with a short teaser or intro to what we're talking about, a picture, and a link to read the full post. We do push the blog posts out on social media individually when they're posted, we just curate them together and send one monthly email formatted as a newsletter.